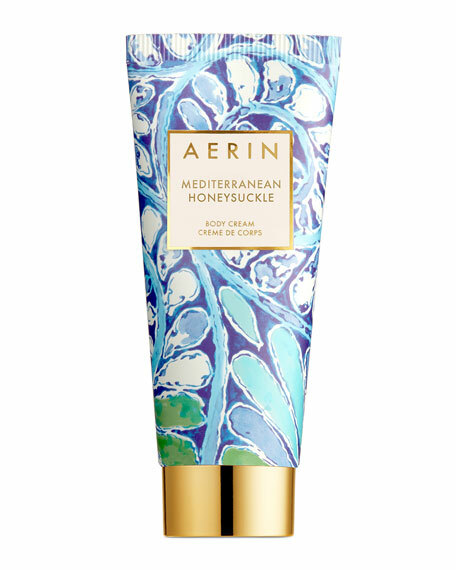 Richly luxurious and deeply replenishing, AERIN's Mediterranean Honeysuckle Body Cream drenches skin with moisture to soften and help revitalize the look of skin. Skin appears refreshed and delicately scented. Sweet Honeysuckle and sparkling Grapefruit take you there, evoking lush flowers and shimmering beaches. 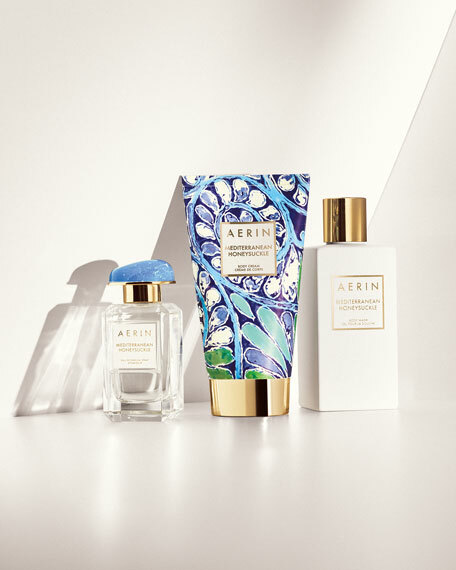 Italian Bergamot, sun-warmed and citrusy, and Mandarin Oil impart lasting freshness. Lily of the Valley and lush Gardenia build to the sensuality and richness of Jasmine Sambac Absolute. 148 ml / 5.0 fl. oz. Darphin Nourishing and Firming Velvet Cream, 6.76 oz.